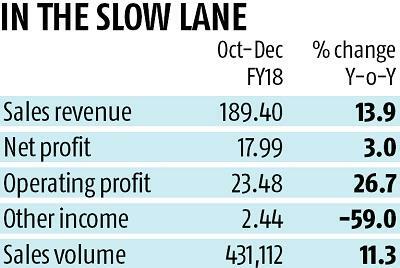 Maruti Suzuki, the country’s largest carmaker, posted a 3 per cent growth in profit for the October-December period, the third consecutive quarter of low single-digit growth. The automobile major attributed the low profit growth to an increase in tax rates and lower non-operating income due to mark-to-market impact on the invested surplus, compared to last year. 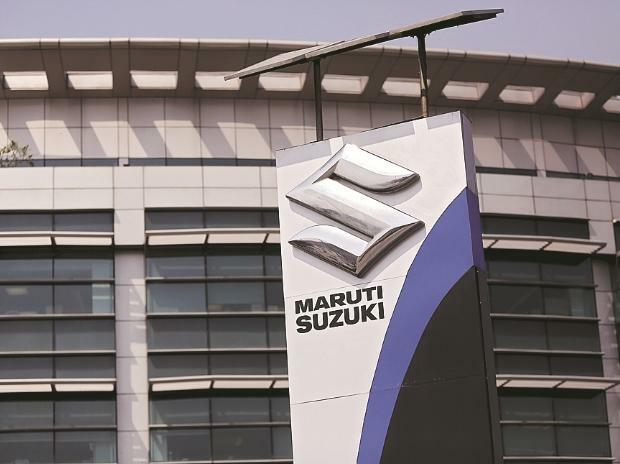 The company’s board on Thursday discussed and approved a revision in method of calculating royalty payment to Japanese parent Suzuki Motor Corporation (SMC), which would result in lower royalty outgo. This new method would apply for model agreements beginning with 2017 calendar year when the Ignis was launched. The revised calculation will also cover models like the new Dzire and the upcoming Swift and all models going forward once the board at SMC ratifies it. Currently, Maruti pays a royalty of around 5 per cent on the revenue earned. Some adjustments will happen once the new rate is effective. The premise of this new arrangement is based on the fact that a substantial degree of research and development work on new product development is now taking place in India. This had been at a discussion stage for more than a year. The net profit for the quarter stood at Rs 17.99 billion, up 3 per cent, compared to the same period last year. Profit in first and second quarters grew at 4.4 and 3 per cent, respectively. The company said its operating profit in the third quarter expanded by 26.7 per cent to Rs 23.48 billion helped by higher volume, cost reduction initiatives, lower sales promotion expenses and forex benefit, partially offset by adverse commodity prices. The net profit growth, however, was lower due to higher tax and a mark to market loss of Rs 3.13 billion on investments. Accordingly, its other income came lower at Rs 2.44 billion against Rs 5.96 billion in the corresponding period of the previous year. The net sales revenue for the quarter rose 14 per cent to Rs 189.40 billion. The revenue and profit growth are in line with expectations of analysts. “Maruti Suzuki reported in line results on the operating front. Operating margins improved 110 bps y-o-y to 15.8 per cent as lower discounting and cost control initiatives more than offset the impact of rising commodity prices,” said Bharat Gianani, research analyst (auto/auto ancillaries), Sharekhan. The company sold a total of 431,112 vehicles during the third quarter, with a growth of over 11 per cent over the same period last year. Sales in the domestic market stood at 400,586 units, up over 12 per cent. Exports were at 30,526 units. The net sales revenue for the April-December period of FY18 was Rs 575.10 billion. For the nine-month period, the net profit stood at Rs 58.39 billion. Commodity prices have firmed up in the current financial year and impacted profitability by 30 basis points in the quarter. “Commodity prices have been hardening and its impact is visible in the third quarter. One can expect a stronger impact in the fourth-quarter performance,” a company official said.